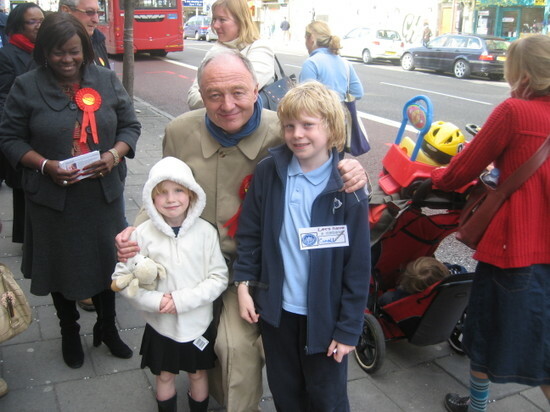 With my two youngest in Stoke Newington High Street this afternoon. More here. I wish I had been there. There are some things I would have liked to ask Red Ken. Nice to see Diane Abbot without Michael Portillo invading her space though. Good to see that you haven`t disappeared completely, Shaigetz! Londoners, what have you done? Small consolation but at least us Hackneyites did our bit - my polling station was rammed.